Predictable Sparks Grows Within New Unpredictable Novel, Two by Two. A new start for an author with a heavily established reputation. 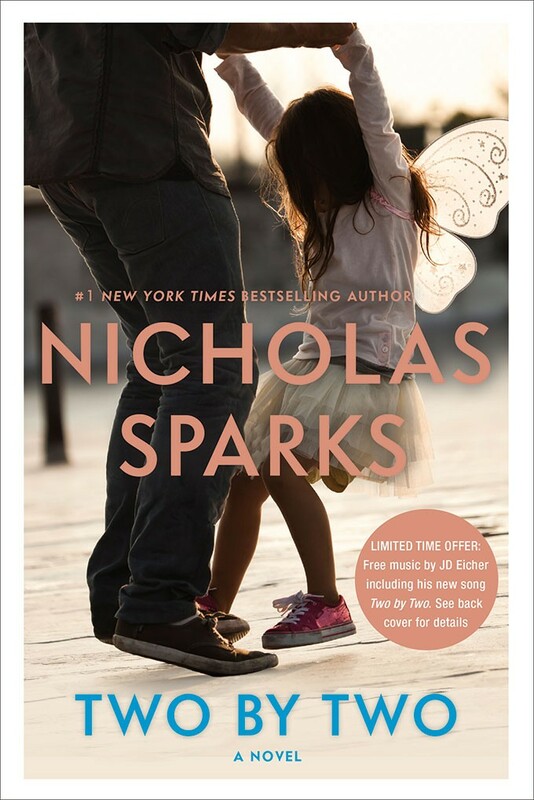 I’ll be frank, anybody who has not heard of author Nicholas Sparks is fully and absolutely unaccustomed to the romance section of their local bookstore or library. That’s probably acceptable for some people, because a somewhat expected bathetic romance is not everyone’s idea of a decent time spender. Just look at the movie images posted on the right! They literally all look like the same movie done with different actors. There was a lot of bustle and commotion surrounding the first movie releases based off the books. 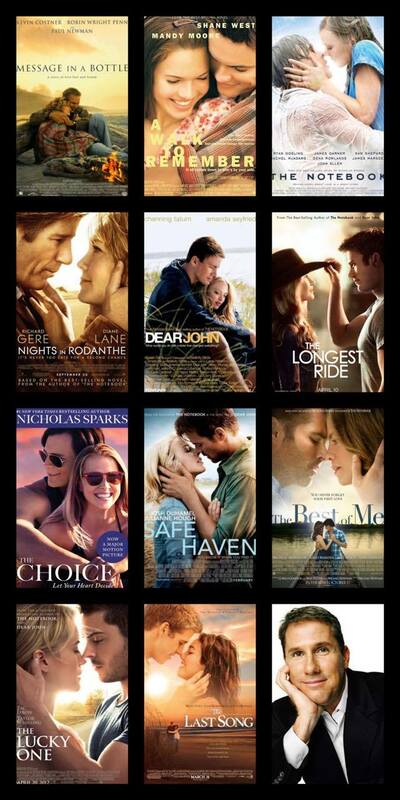 “A Walk to Remember,” “The Notebook,” and “Dear John,” are just a few of the beloved films that received excessive attention. Although now Sparks’ books-turned-into-movies have become a relatively unspoken stigma over time, where masses are aware of the distinguishable cash cow by releasing foreseeable prediction after prediction. As an avid, and at various times, closet reader of Sparks’ novels, I know how addicting the storylines can be. Sparks has something unique about how he can truly make a reader feel as if they are in the South (the usual setting) sipping iced tea in a rocking chair on the porch with a soft, warm breeze brushing over their face. The course of words used to describe characters even carrying out chores such as scrubbing wood floors and repainting a sparse cabin in the woods (Safe Haven) gives unexpected inspiration and motivation for the reader to become productive in their lives in that manner. Each page turned offers expansive characterizations that make readers sincerely care for each fictitious personality’s outcome. Even as a consistent reader myself, I still can see that the books, even with its spiritedness and overall feel-good atmosphere, are still just undoubtedly obvious at what will happen at the end. Typical boy meets girl (sometimes in different ways) and some conflicts happen. Boy and girl get over said conflicts and then they make up and end up together. When I heard that Sparks was releasing his twentieth novel called Two by Two, it was already decided in my head that it would be on my bookshelf. I figured that it could not contrast much with preexisting novels, so I would enjoy it for what it was worth. However, what I found while reading was an altogether surprise that will for sure interest regular readers. The best part is that it may even intrigue those dreading the constant in-your-face mushy love stories. This novel is about love still, (it just comes with the territory) but a distinctly different type of love. A father, whom Sparks tears at your heartstrings with throughout the novel, Russ Green’s enduring love and devotion to his young daughter, London is an alluring, humbling experience to read about. This is not by any means similar to titles like The Notebook, The Last Song, or any others. Instead, it is unquestionably a strange turn of events in the most genuine way that shows Sparks’ tremendous growth as a writer. It seems that he took this leap of faith to trust intuition to write a work that not all of his devoted fans would be happy about or expect, but to alternatively open himself to a new, broader audience. I was admittedly amazed at the poised delicacy Sparks showed within his maturity in Two by Two. In a world that has its abundant problems day to day, I thought it was in good taste to publish a lighthearted story about a family tie between a father and daughter to remind us to cherish the relationships we are lucky enough to acquire in our short lifetimes. If you have not given Sparks’ novels a chance, or have and disliked them, give this one a try. This was a pavement to a special, meaningful use of writing that could change people’s opinions on Sparks as an author. If you are not a frequent reader, I could guess there will be a movie at some point made of this book (there always is with Sparks), and I honestly hope the people behind the film keep the integrity of the book so that any who would rather see the movie can get a glimpse of how an author with a reputation can change and turn heads even at the twentieth novel.